Abuse is about having power over someone. Abusers typically want to feel superior and to control and dominate. To them, communication is not about understanding. It’s a win-lose game. They can be bullies. Typically, abusers deny any responsibility and shift blame to their loved ones and co-workers. The one thing they all have in common is that their motive is to have the upper hand. This is because they don’t feel that they have personal power, regardless of worldly success. Often, they behave the way they were treated growing up, and their insecurity, shame, and rage from childhood drives them. 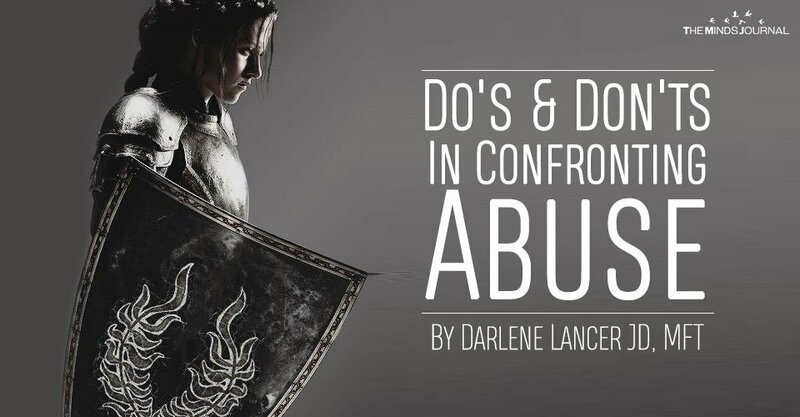 Allowing abuse damages our self-esteem. To respond effectively requires support. It’s difficult to face it without others who will validate our reality. This is especially true if we’ve been abused for any length of time. Without outside support, our compromised self-esteem leads to self-doubt, insecurity, isolation, and increased dependency on the abuser. It’s important to understand the motives and mindset of an abuser; otherwise, victims of abuse commonly make the following mistakes that contribute to more abuse. Most victims try to placate an abuser to de-escalate conflict and anger. This tactic only empowers the abuser, who sees it as weakness and an opportunity to exert more control. Pleading sends the same message. Verbal fights with an abuser lead to more resentment on both sides. As anger escalates, so does abuse. Nothing is gained. You lose and can end up feeling more victimized, hurt, and hopeless. This is a futile objective, yet drives the behavior of victims who desperately want to be understood. They mistakenly believe or hope that the abuser is interested in understanding them, while the abuser is only interested in winning a conflict and having the superior position. Arguing over the facts is thus irrelevant. Most abusers aren’t interested in the facts, only justifying their position and being right. Because abusers are basically insecure, although they may act tough, inside they’re fragile. They can dish it, but can’t take it. Criticizing an abuser can provoke rage and vindictiveness. It’s more effective to be assertive and communicate your needs.